Bonjour explorers! What have you explored lately? Not only it is my last post for this week but it is also the most important one. So far you know that travel is shopping and food for me but as I said in my previous posts that it is much more than that, well yes travel is happiness for me. That little tickle in tummy when the fight is all set to take off, that little nervousness on face when new people come across, that pinch of excitement when the journeys leave a mark, no I’m not trying to be poetic but trying a bit to express what travel means to me. Happiness is the correct word to describe it. The goose-bumps that I get when I plan for a new trip or the bag that gets packed a moth before the travel dates are enough to explain my love for new places. Winning a trophy does not leave that smile on my face that visiting a new city does. It gives me eternal happiness. Travel is not only about visiting a new city, it is about building never-ending bonds. 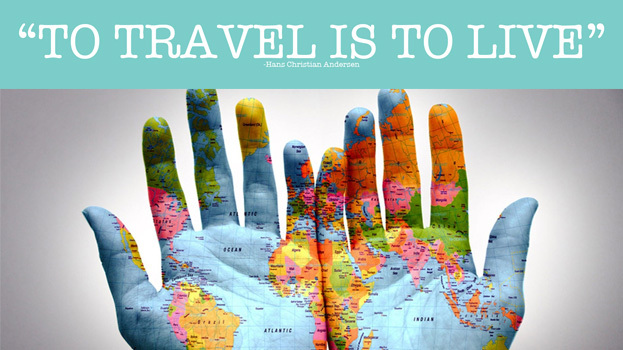 Learning new languages, witnessing new cultures, discovering new tastes, travel is life for me. People around me often think that I travel to escape but that’s their misinterpretation, as I travel to explore nature, to explore the true me, to collect bits of happiness, to breathe in fresh air, to be myself. You can always find my bag pack ready in my room and maps all over the wall, do I need to say anything else to express my love? Some of us write, some of us paint but I travel!